Losing Pregnancy Weight: It’s been 11 months, and I now can fit back into my pre-pregnancy clothes!! Categories: motherhood, Pregnancy, Transitions | Tags: losing pregnancy weight, losing weight, motherhood, Pregnancy, Transitions | Permalink. What to do with your cards! Categories: Family, Fun, motherhood, Photography, Pregnancy, Uncategorized | Tags: Encouragement, Family, Fun, Pregnancy, Transitions | Permalink. Our Little Blondie Has Arrived! We labored at home from Sunday morning until Monday afternoon so that we were 7cm dilated when we checked into the hospital on Monday; after 10 hours of hospital labor, we got to see our baby boy, Joel Christopher Schuh. Then we got to celebrate him the rest of his birthday day!! I love being a mama!! Joel is a good eater and sleeping pretty well for a newborn; we are so thankful for this gift! Categories: Babies, baby, Beginnings, Children, Family, Parenting, Pregnancy | Tags: Children, Family, Life, motherhood, Parenting, Pregnancy, thankful, Transition, Transitions | Permalink. The first sushi I ate was handmade by a college friend and her mom back in 2005, and since then I have been hooked. Eating raw fish is not recommended for pregnant women, so I hadn’t eaten sushi since January until I made it last week! 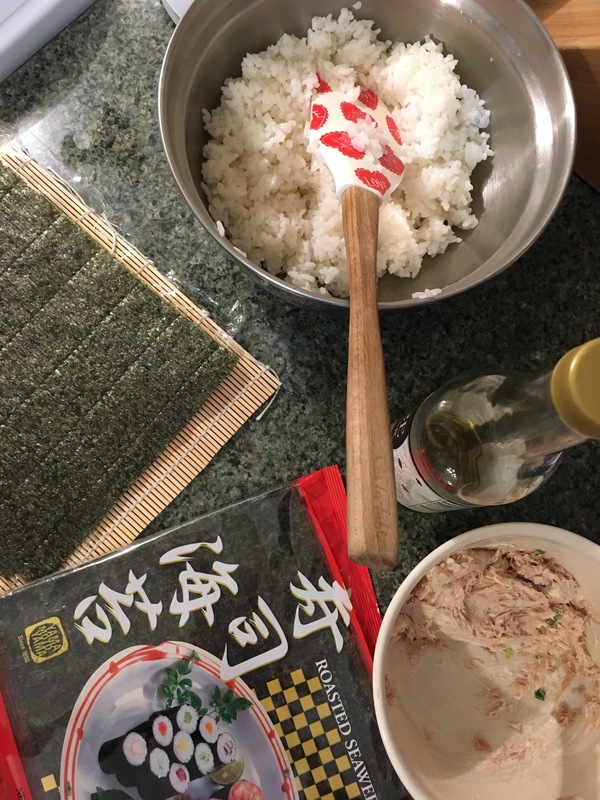 Bamboo sushi mat, such as this: BambooWorx Sushi Making Kit – Includes 2 Sushi Rolling Mats, Rice Paddle, Rice Spreader |100% Bamboo Sushi Mats and Utensils. Soy sauce and pickled ginger to serve with the sushi (some people also like wasabi). 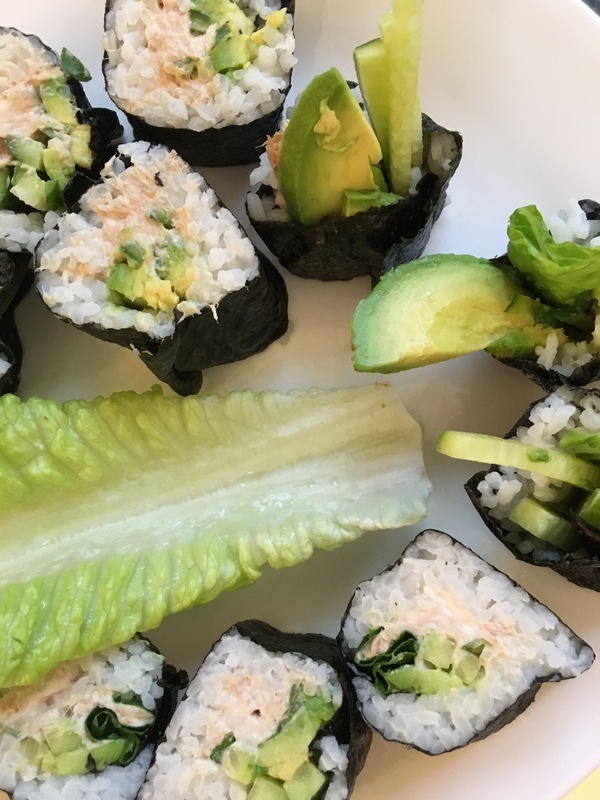 Categories: Cooking, Food, Pregnancy, Recipe, Transitions, vegetables | Tags: Pregnancy, sushi for pregnant women, sushi recipe, sushi with no raw fish, vegetable sushi | Permalink. 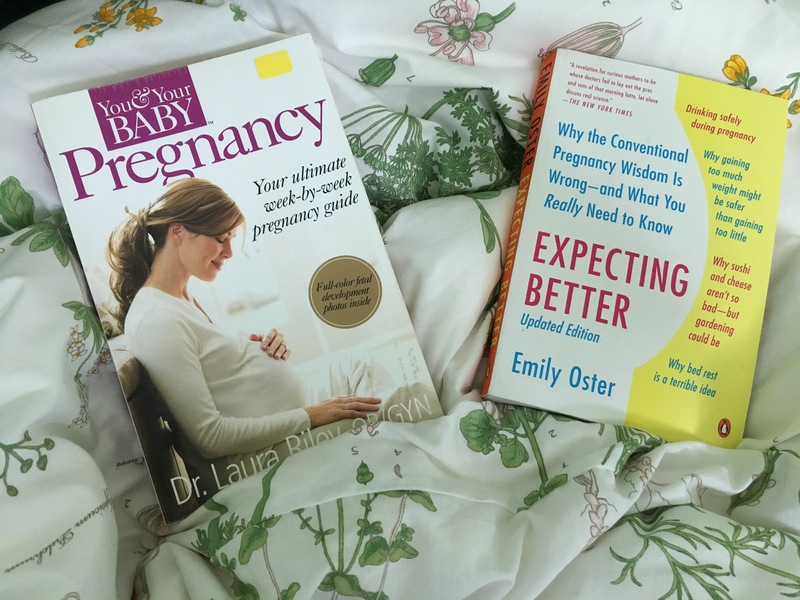 With so many books and videos out there on the topic of pregnancy, which ones should a new Mom read and watch? This book has a few photos, lots of diagrams, and a week-by-week update on how the baby is developing. I read it before bed, and sometimes I read ahead because I get so excited! I&apos;m in week 27 now, feeling the baby kick a lot, and am feeling well. walks you through the nine months of pregnancy and shares all the research she did when she was pregnant about these "don&apos;t" and which ones are wise to pay attention to and which ones you have more of a choice than you thought. Stephen&apos;s cousin, Anni, gave me the book, and it is one of the first ones I have read. I enjoyed Emily&apos;s non-nonsense attitude and all the stories from her pregnancies. Check it out! Mothers out there, what books and videos have you used that you enjoyed when pregnant? I would like to hear from you. Categories: Babies, baby, Beginnings, Book Reviews, Books, motherhood, Pregnancy, Transitions | Tags: healthy pregnancy, motherhood, Pregnancy, prenatal yoga, prenatal yoga recommendations, safe pregnancy, Transitions, week-by-week pregnancy book recommendations | Permalink. 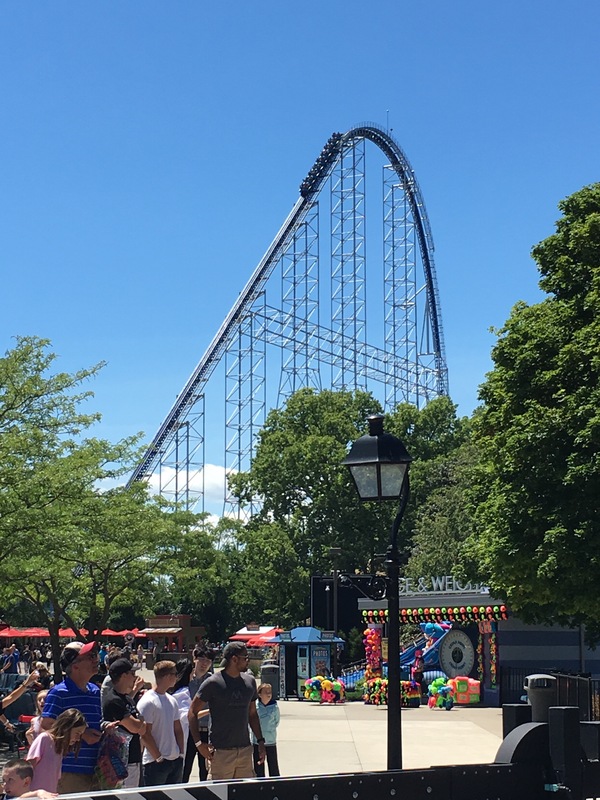 Stephen is in that car about to go over the edge of the Millennium Force! 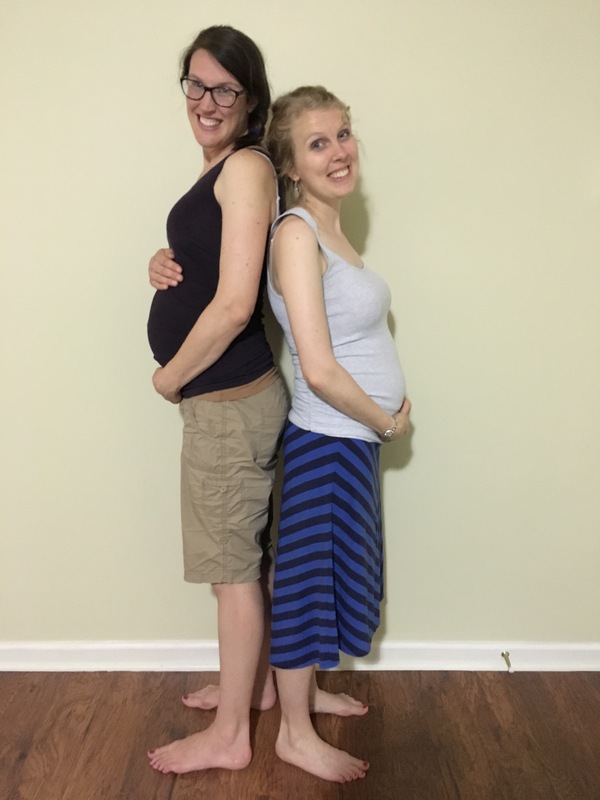 Categories: Babies, baby, Community, Family, Fun, Pregnancy, Thoughts, Transitions, Uncategorized | Tags: 20 weeks pregnant, Cedar Point, new mom, Pregnancy, pregnant, safe pregnancy, safety during pregnancy, should I go to an amusement park when pregnant?, Transition, Transitions | Permalink. Categories: Babies, baby, Beginnings, Friends, Pregnancy, Transitions | Tags: 20 weeks pregnant, Friends, Friendship, lifestyle blog, motherhood, Pregnancy | Permalink.